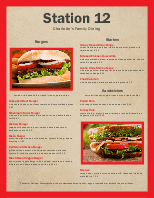 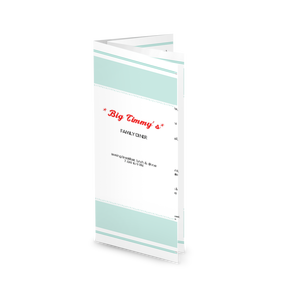 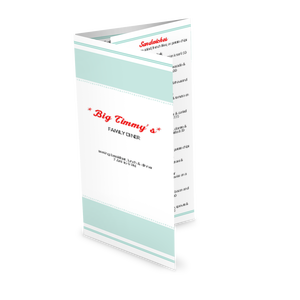 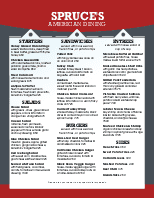 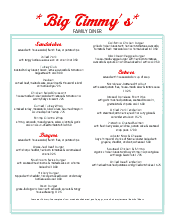 A vintage diner menu with big, bold red headings and a simple style suitable for all types of diners and family restaurants. 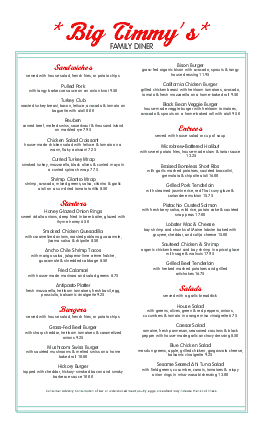 Blocked out sections for snacks, beverages, desserts, entrees, burgers, and sandwiches are outlined in contrasting blue. 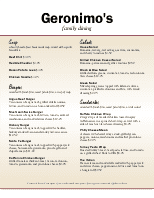 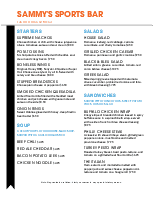 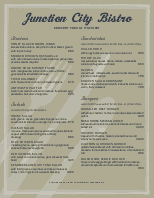 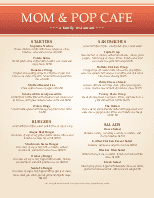 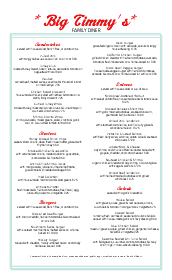 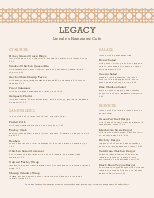 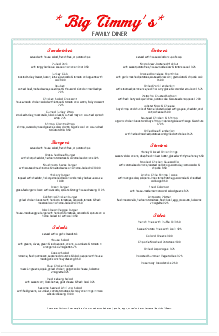 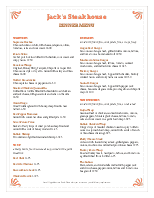 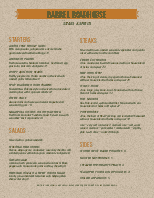 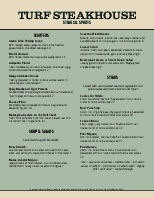 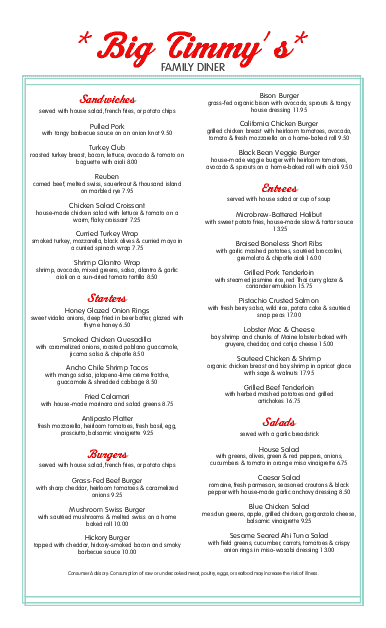 This long menu can be updated online using the Menu Editor.